Stone-in nocellara olives in sunflower oil. These Sicilian olives have a mild, buttery flavour and firm texture. 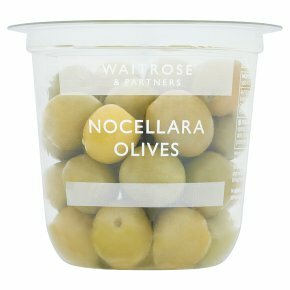 INGREDIENTS: Nocellara olives (95%) (green olives, salt, acidity regulator lactic acid), sunflower oil.